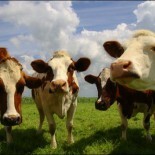 The situation surrounding Bovine Tuberculosis in the UK is getting worse. Latest figures from the Department of the Environment Food and Rural Affairs show that the disease is still increasing in England and more and more cattle are being slaughtered in a bid to contain it. The Defra figures show that the number of cases in England rose by six per cent over the last year to 3,967 from 3,757 in the 12 months to January 2015. The main rise was in the high risk areas of England, which showed a five per cent rise to 3,456 cases. New incidents of Bovine TB in herds where the officially TB free status had to be withdrawn rose by three per cent to 2,822. Only Scotland and Wales showed any signs of a decline in the disease with the number of cases in Scotland dropping from 46 in 2015 to 43 last year and in Wales from 863 cases to 792. The rise in the number of incidents in England meant that the number of cattle that had to be slaughter also rose by six per cent from 26,453 in the year to January 2015 to 28,025 head in the year to January 2016. The number of cattle that had to be slaughtered in Wales because of TB also rose, while the numbers in Scotland fell. Additional measures designed to protect England from bovine TB were introduced as part of the government’s comprehensive 25-year strategy to tackle the disease at the beginning of April. The new legislation requires farmers in the Low Risk Area of England to arrange for post-movement testing of cattle coming from the rest of England and from Wales. All herds in the High Risk Area of England affected by a new TB breakdown will need to pass two strict tests before movement restrictions are lifted, with the aims of increasing the chances of finding all infected animals in those herds, reducing recurrent breakdowns, and protecting other herds. Free pre-sale TB tests will be available to many herd owners in the Low Risk Area selling 20 or more cattle in a single purchase. This will enable sellers to provide additional assurance for buyers and mitigate the low risk of undetected TB spreading to new herds. The Animal and Plant Health Agency (APHA) will start offering the option of private Interferon Gamma blood tests to diagnose TB under certain conditions and subject to prior approval from APHA. Controlling TB by way of culling is one tool along with transport, movement and area restrictions, all go towards eradicating TB. However breeding techniques with gene marking, identifying the TB gene will also be the way forward. And of course no live animal transport shipments from neighboring countries. Strict quarantine border control. Accepting no live animals shipments from any other country that have TB gene markers, or any other traceable dieses markers. This entry was posted on April 13, 2016 by agedchrisharris in Cattle, Meat, Uncategorized and tagged Beef, Bovine TB, Dairy, Markets.